Just a forewarning this post is going to be a cry-fest on my end of the computer for a very good reason! One month ago, my sweet husband and I drove up to the great city of Albuquerque. It was so neat to to just be there. Not just because the beautiful mountains, or the cold brisk weather, or even to be exact spots where Breaking Bad was filmed. It was because I was with my big brother and that was enough. I have always had an incredible amount of love and respect for my older brother and I deeply cherish our time together. In addition to seeing my brother, we got to spend time with Gabby, his sweet girlfriend. I could go on and on about Gabby, but a few words I would use to describe her are: compassionate, devoted, and gentle. I have known her for years and years and I cannot begin to adequately explain the love I have for her. So, we headed out through the Panhandle & over to New Mexico, but this particular trip was going to be a bit different than the others. Dustin called me a handful of days before we left for the 10 hour drive, and he began a conversation I will never forget. He said, "Are you bringing your camera? I may need you to help me capture a very special moment." I lost it. I knew exactly what "special moment" he was talking about. In just a few days, my big brother who I have always looked up to, was going to get down on a knee and be looking up at his future wife. So here it is. Here is the story. After we arrived in town, Dustin suggested to his wonderful girlfriend Gabby that we should take their annual Christmas card picture. Normally this event is a fiasco for the two of them to maneuver, so he was sure she would fall for it. And she did. 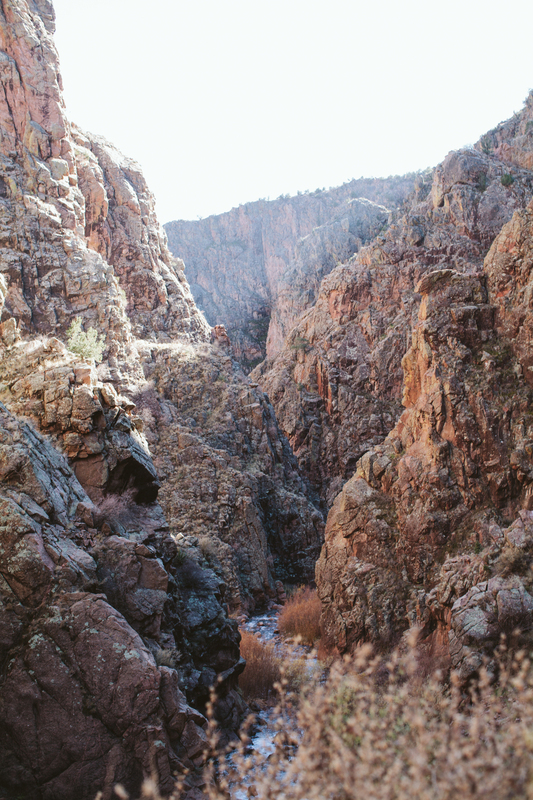 The plan was for us to drive about an hour out to Las Jemez Mountains for the best backdrop for the picture. On Sunday, late morning, we began our trek to the spot. We stopped for a big brunch and smushed back into the car. There was so much laughter and Gabby had no clue what was coming her way (meanwhile I am in the back seat trying to hold back tears!) We arrived. 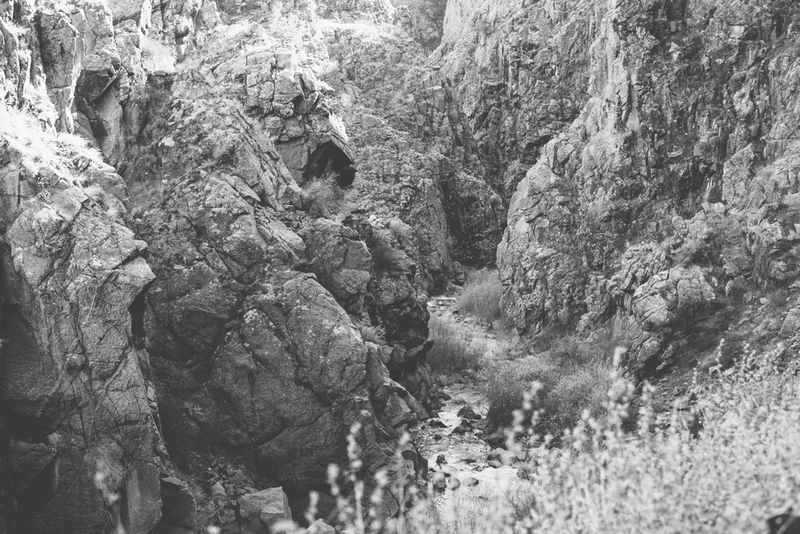 We are in the midst of a canyon, with cliffs laced with glistening waterfalls and streams. We began our hike, and Dustin and Gabby led the way. (At this point, we were grabbing both of our cameras to capture the event without her knowing!) 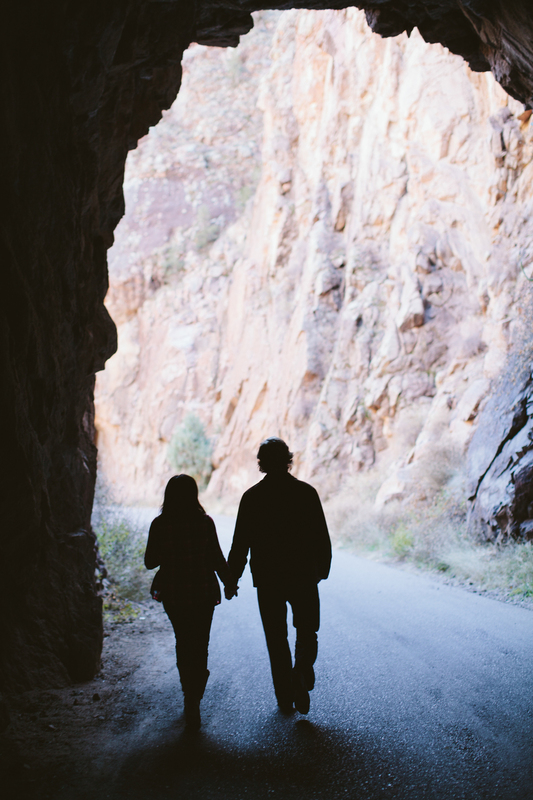 They walked through beautiful tunnels carved out of the mountain and exchange sweet words. 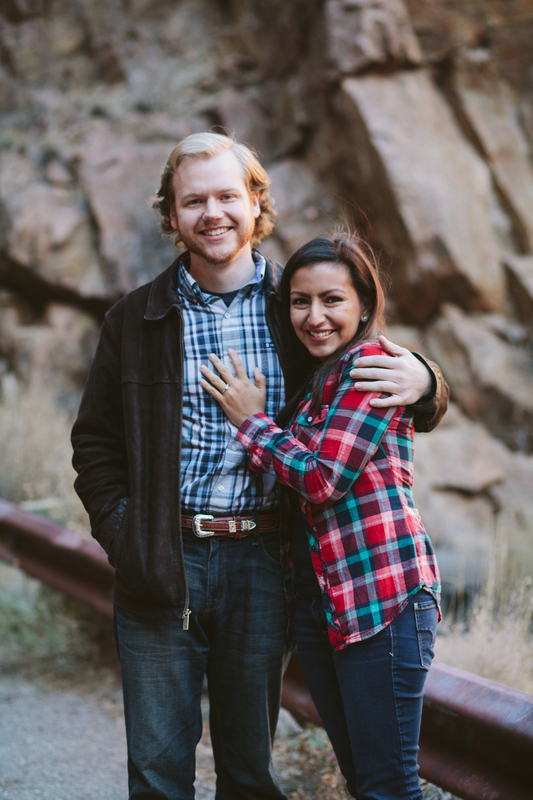 Before we could blink an eye, Dustin is down on one knee overlooking beautiful cliffs in the middle of mountains. (It seriously looked like something out of the Lord of the Rings - yes I just said that). She started crying, shaking, and gasping all at the same time and somewhere in there she said YES! We all cried, hugged, and celebrated such a special moment! It could not have been more perfect. She stared in disbelief at her ring, then back at Dustin, then at her ring - and continued this for about 30 minutes. After much excitement, we headed back into town to celebrate with her ABQ family and friends. The entire day was simply unforgettable.